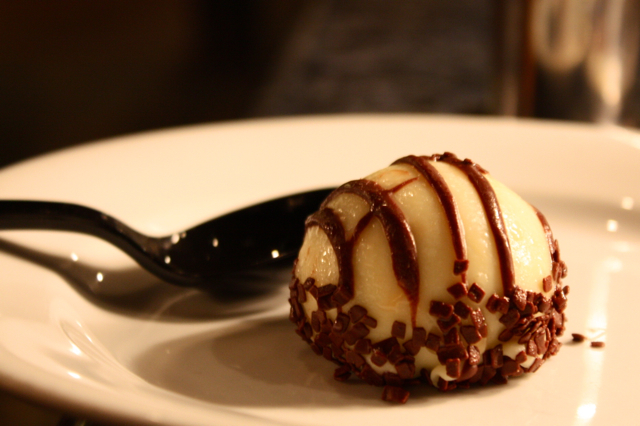 Zebra Domes are synonymous with the Animal Kingdom Lodge and one of its signature restaurants, Boma. Thankfully, these tasty treats are also available elsewhere at AKL including The Mara and Johari Treasures at Kidani Village. The base of a Zebra Dome is a small layer of cake with a dollop of Amarula liqueur mousse on top of it. The Dome is then coated with white chocolate, while dark chocolate is used to create the zebra stripes. Run, don’t walk. to try this one on your next WDW vacation. Zebra Domes at Johari Treasures in Kidani Village. Another cult favorite in the Disney fan community is the Oreo Bon Bons at the Beach Club Marketplace. The foundation of the bon bons is an Oreo cookie, and on top of that is a cookies-and-cream flavored mousse. The mousse is then covered in chocolate, with even more chocolate on top. Even better? Zebra Domes come in a pack of four while Oreo Bon Bons come packaged as a six pack. The more the merrier! After trying the Oreo Bon Bons at Beach Club, head over next door to the Yacht Club and make sure you try the Truffle Fries at Crew’s Cup Lounge. House cut french fries that have been soaked in truffle oil and topped with Parmesan cheese? Hard to top that. Wait, did we mention the incredible roasted shallot mayonnaise dipping sauce? These are – hands down – the best french fries on Disney property. Period. Taking a stroll along Disney’s BoardWalk area is one of the more enjoyable things to do at WDW, and no trip is complete without a stop at the BoardWalk To Go kiosk. Filled with fried goodness including mozzarella sticks, chicken fingers, and foot long corn dogs, here is where you can find Fried Macaroni & Cheese Bites. The crunchy fried coating mixed with the warm mac & cheese inside produce a terrific flavor, and the small size makes them easy to eat while walking around and enjoying the trip back through time. For me, the BoardWalk overall is one of Disney’s biggest triumphs in overall resort theming. While you’re there, step on into to the Belle Vue lounge and just soak in the atmosphere. There are many reasons to check out Disney’s fantastic water parks, but for us the two biggest reasons are the Sand Pail ice cream bucket (which we’ll cover in a future article) and the mini-donuts! These donuts are so addicting that it’s actually good they are only at the water parks, because if they were at Epcot or the Magic Kingdom we would be buying larger pants in a matter of weeks. You can get the donuts sprinkled with powdered sugar or cinnamon, and there are several dipping sauces as well to make it that much easier to go straight into a diabetic coma. Mini-Donuts. Good enough to justify getting one of the Premium Annual Passes or the Water Park Fun and More option. (photo by Tom Bricker of the Disney Tourist Blog. Many guests have been avoiding Downtown Disney for the last few months years because of various reasons, but I promise you it is worth making a day trip there, if only to experience the Dalkey Duo at Raglan Road. Perfectly battered cocktail sausages served on rows of forks with a Dalkey mustard dipping sauce. The Dalkey Duo has it all, great taste and served with style. We are suckers for presentation, and this forrest of sausages has us entranced. Grab a pint of your favorite draught beer (better yet, get a beer flight) and enjoy the Dalkey Duo while Downtown Disney continues its conversion into Disney Springs. Have a favorite WDW snack outside of the theme parks? Let us know in the comments so we can get to some more research! 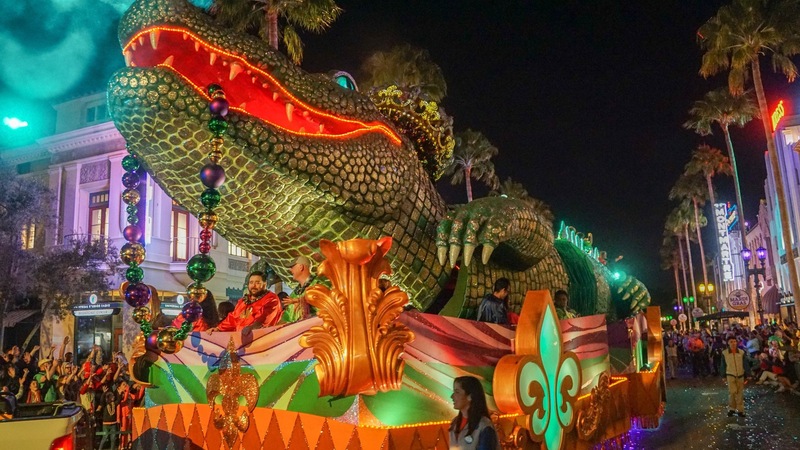 Special thanks to crack staff photographer Brandon Glover, Disney Photo Icon Tom Bricker, and Megan Stump for their invaluable assistance with this article. Be sure to also check out Brandon on The Park Blogger podcast with co-hosts Aengus Mackenzie and Brian Carey, while Bricker can be seen killing it on the great site Travel Caffeine. Event better than Crew Cup Truffle Fries – Territory Lounge Truffle Fries dipped in their fondue. heart attack food sure, but so very good. Please tell me that zebra domes are still sold in six packs as well. Beautiful food pics! Zebra Domes used to be sold in packs of five, but it looks like they have been changed to packs of four. My Dad loves though battered sausages. Yummy. Going to try all of these in April – thanks Derek. I would figure Ghirardelli’s with it’s chocolate and ice cream concoctions would rank up there. And it’s at Downtown Disney. It’s always VERY busy. And much better than the ice cream sundaes that you can get on Main st USA at the ice cream parlor. Also, the “free” ice cream is fun after a DVC tour. Although, that’s five figure plus a hefty yearly bill of maintenance fees ice cream if you buy a time share. Raglan Road just made the honeymoon dream list.